Democrats will soon try to marble the federal budget with as much lard as possible, and sadly many Republicans join in this process. Now is an excellent time for President Bush to create another Hoover Commission. Most Americans, willfully kept ignorant of our nation's history by liberals, are unfamiliar with this commission. After the Second World War was over, the amount of our nation's wealth consumed by the federal government was staggering. Franklin Roosevelt's panacea for all problems in our domestic economy was federal spending. The Second World War, understandably, consumed huge amounts of our national production as well. Harry Truman had opposed wartime waste and he realized that the vast empire of federal largess was dangerous and that it was a drain upon our nation's vitality. Proposing reforms in the budgetary process provided little hope: any president can be charged with having a personal political agenda, and congressional committees, subcommittees, and conference committees will squeeze the sense out of most proposed improvements. Truman instead asked Herbert Hoover in 1947 to pull together a body of impartial experts to review the entire federal government and make recommendations for streamlining and trimming the cost of government. Hoover had been a Republican president and a businessman. 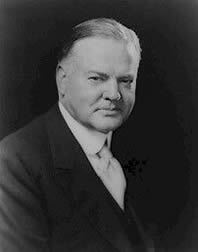 No one confused Herbert Hoover with a liberal Democrat. So when Hoover's commission came back with recommendations which were endorsed by the Truman, leader of the liberal Democrats, opponents of change were in a box. President Bush should take the approach of President Truman and appoint one of the handful of Democrats who are still respected political figures - David Boren, James Exon and Sam Nunn are some clear choices - to review the whole federal government and make proposals for economy, efficiency and reform. James Exon of Nebraska might be the best choice fo this assignment. Exon served eighteen years as a Democrat from a state adjacent of Tom Daschle's South Dakota; he served in military during the Second World War, and he spent eighteen years as an executive in the private sector before entering public service. Sam Nunn, a grandson of Carl Vinson, served with distinction in the United States Senate representing Georgia from 1972 to 1996, twenty-four years. He was often mentioned as a possible presidential candidate, and is co-chair of the Concord Coalition. Senator Nunn would also be an outstanding candidate for this task. David Boren is the son of an Oklahoma congressman, and he served as Governor of Oklahoma before serving eighteen years in the United States Senate. Currently Boren is President of the University of Oklahoma, and he left the Senate - like Nunn and Exon - with his reputation for honor and competence completely untouched. President Bush's "Hoover Commission" could include all of these respected former Democrat senators, and the presence of these senators would make it very tough for the principal obstacle to any positive change in federal policies - Tiny Tom Daschle - to condemn men who sat in the Senate Democrat Caucus in the 1990s. Will Daschle accuse Exon, Boren and Nunn of being dupes? Knaves? Partisans? What would be the practical benefit of a new Hoover Commission? Drawing attention to the amount of waste, fraud and redundancy in federal government operations by a prominent Democrat would open the door for serious auditing, meaningful consolidation and reorganization, and actual elimination of some programs. It would show that President Bush is not a partisan hack, but rather a President of all America. And it could dramatically shift the focus from the straw dogs of liberal venom - private enterprise - and show shines a spotlight on the vast corruption and fraud in the federal government. Only good could come of this, and much good indeed. President Bush, who seems to be floundering in the domestic area, should take this action soon. He should ask for a full report before the presenting his executive budget for 2004. Information technology should enable this commission to work much faster than the Hoover Commission. Why should President Bush ask the handful of honorable and respected Democrats to form this commission very quickly? Why not wait? Perhaps President Reagan answered that question best when he rhetorically asked: "Is not us, who? And if not now, when?" Bruce Walker is a senior writer with Enter Stage Right. He is also a contributor to Citizens View, The Common Conservative, Conservative Truth and Port of Call.